This is what happens when I'm bored at school/band. Not the sleeping part, though you can rest assured that happens fairly often enough as well. 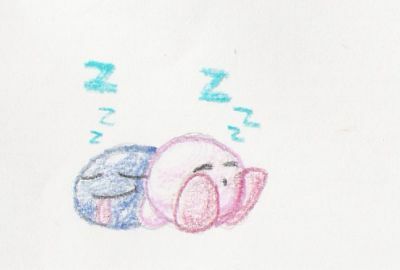 I ended up doodling Kirby and Gooey sleeping- 'cept in colour.